The American Chamber of Commerce to the EU (AmCham EU) speaks for American companies committed to and invested in Europe. AmCham EU brings together the expertise of 150+ member companies and follows 80+ policy issues at any point in time. We strive to create a better understanding of EU and US positions on business matters and stand ready to provide the views of American business in Europe. 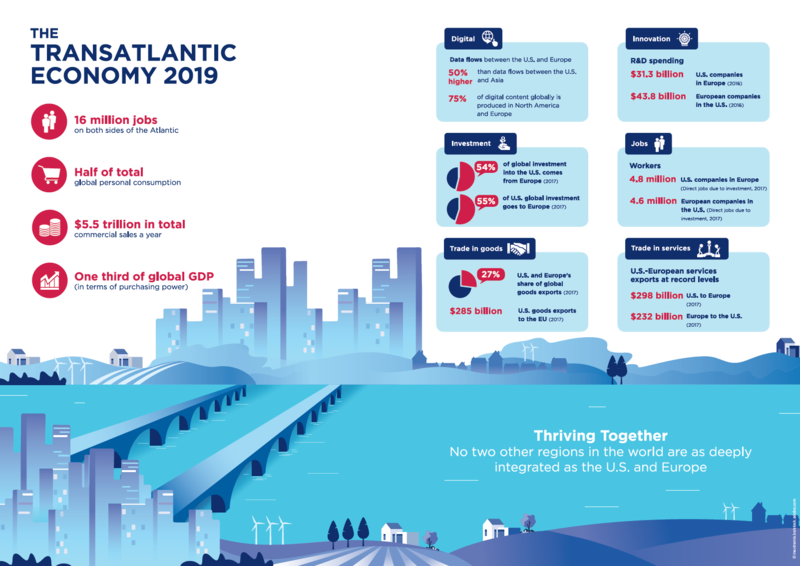 The latest facts and figures about the EU-US economic relationship, including dedicated profiles for 30+ European countries and all US states.